The Ovangambwe is a sub-group of VaNyaneka live in southwestern Angola. Their lives revolve around keeping cattle. They have been resistant to the gospel, especially the elders who say they are too old and set in their ways to change. One church and three preaching points are established among this people group. 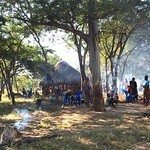 The Ovamwila who are also a sub-group of VaNyaneka, live just south of Lubango, Angola. They are largely rural subsistence farmers and often live fairly remotely. In recent years, many have come to Christ; however, the majority have not heard the good news. A Bible is in very early stages of translation. 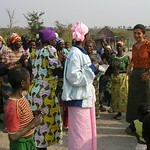 Living in the southwestern region of Angola, the majority of MuCubal and Muhimba live without the gospel. They are semi-nomadic and breed cattle and goats. The region in which they live is often wrought with drought and hardship. An effort is underway to send medical personnel to this region. Pray for continued good working relationship with Angolan church leaders in each area of ministry. Pray for wisdom to meet the many challenges and demands on time and energy. Pray for additional personnel, particularly in the ministries of health and theological education.